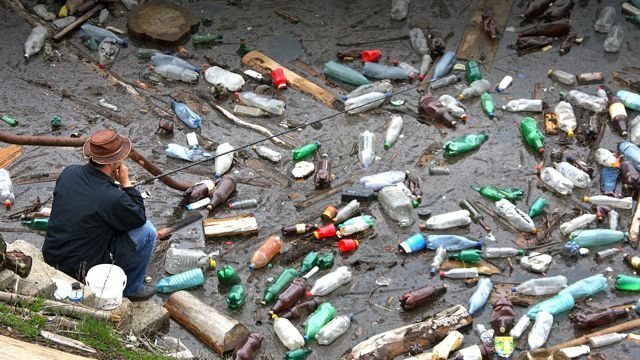 Every day, billions of plastic bags and bottles are discarded, and every day, millions of these become plastic pollution, fouling the oceans and endangering marine life. No one wants this, but there is wide disagreement about how to stop it. “Every time I stick my nose in the water, I am shocked. I see less and less fish and more and more garbage,” said Jean-Michel Cousteau, son of the legendary marine ecologist Jacques Cousteau, who has spent four decades making documentaries and educating people about the oceans. Please throw something in the tip jar before reading on. This is how I make my living. On trips to the remote and uninhabited northwestern Hawaiian Islands, Cousteau found miles and miles of plastic bottles, cigarette lighters, television tubes, spray cans, broken toys, and thousands of other pieces of plastic on the beaches and thousands of tonnes of derelict fishing nets in the reefs.